The objectives of this thesis are to: 1. 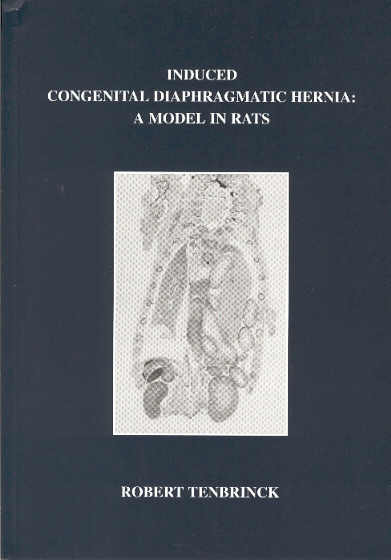 Compare the induced CDH in rats with the human situation and other available animal models. 2. Describe the morphological characteristics of the developing rat lung and diaphragm in congenital diaphragmatic hernia compared with controls. 3. Evaluate the suitability of this model in testing different ventilatory modes and the subsequent reaction of the CDH lung from a biochemical and histological point of view.